Hello! 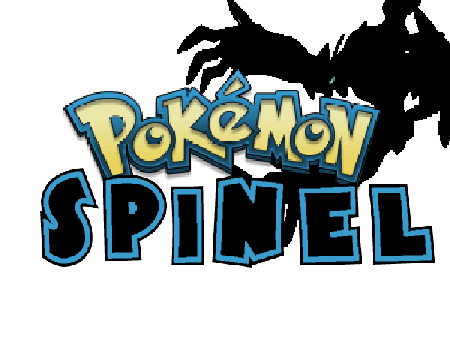 I'm Bryan and, at least for now, I'm the only person working on Pokémon Spinel. 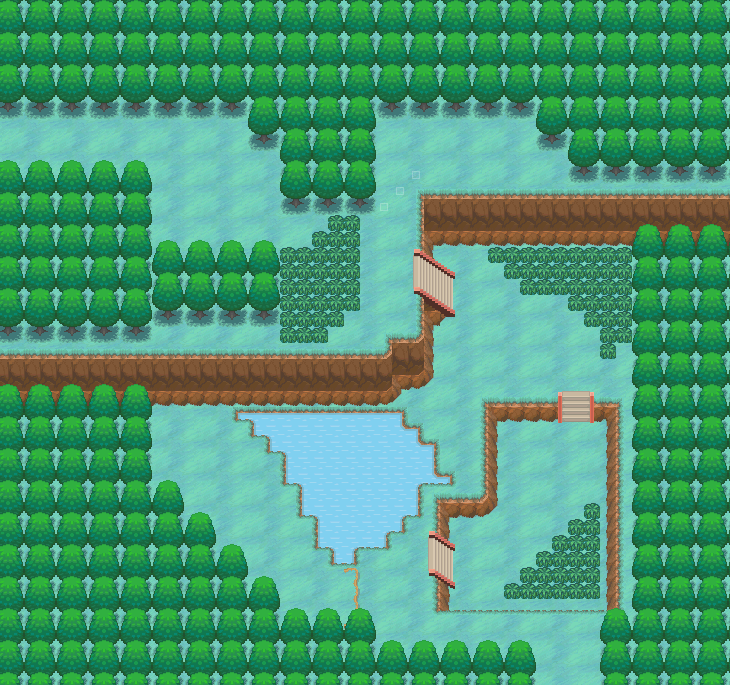 My experience in game development started with fan games, my very first project was Pokémon Aria a few years ago, since than I have started on other non Pokémon related projects, but recently I've come back due to wanting to use all the new resources available, and the Relic Reboot finally pushed me over the edge in terms of wanting to start a new project. Custom Mega Evolutions Some are going to be in the game with demo 2, but most will be in demo 3. 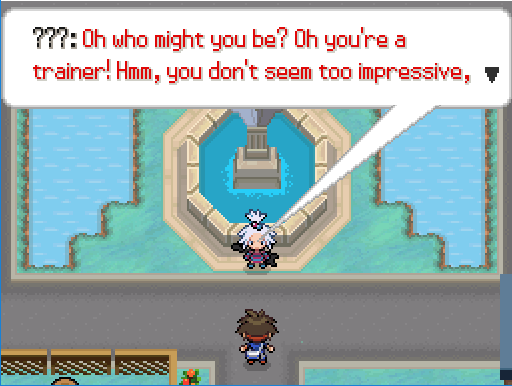 On your way to the island that is home to the 4th gym you will participate in the annual Arini Battle Tournament! If I missed anyone I'm sorry! Please pm/contact me and I'll add you to the credits list. Nintendo and Gamefreak, Pokemon Black and White 2 Super music collection. The house map shown does look a bit empty. Consider adding more tiles to it to fill up some space. The Flygon shown is Lvl. 5. I don't know if this is just a debug test, but if it is a real battle, maybe make it a Trapinch or something - Flygon don't evolve at that level. Mixing evil teams with legendaries aren't always good ideas. Maybe you could create either your own legendary or evil team to make it a bit more consistent - or explain this further. The plot doesn't seem that interesting. Maybe add a few more things to spice it up. So far, it looks good. Those are just some starting points I picked up on, so I hope you can use them. Good luck! I have to say, the maps looks pretty good from what I can tell, and the eventing is refreshing! It looks great, good work! First thing I want to say thanks for all the positive feedback so far! As for the points that both you and Djaco brought up involving the plot, I actually don't have much set in stone at the moment due to me having no idea what direction I want to take the story in. 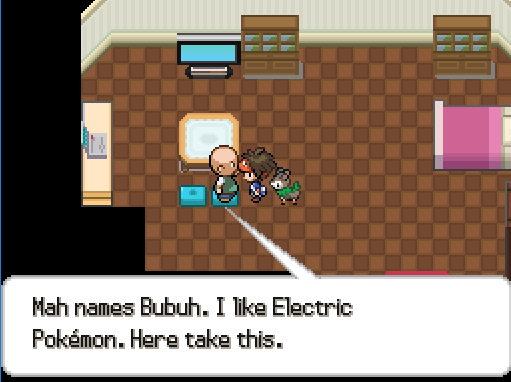 That Flygon was just the random Pokémon I picked off the list to have a battle with. 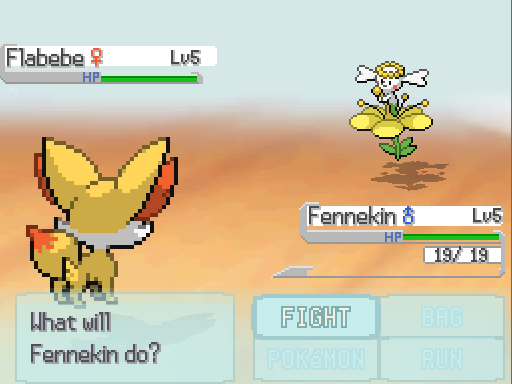 I mainly wanted to use that screenshot to show off the battle scene. That would make development about 100 times as hard. 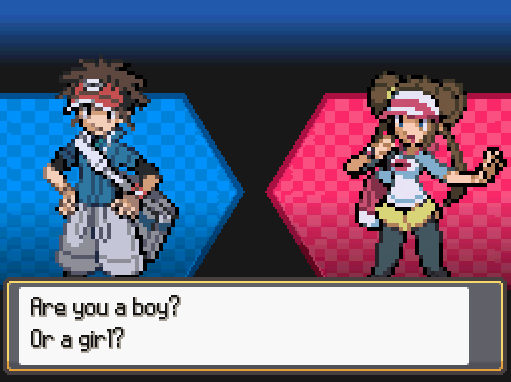 Considering that there's not much research and development in Gen IV+ ROM hacking, one would probably have to spend years researching it and making tools to hack it. Then there would be other issues, such as mapping. 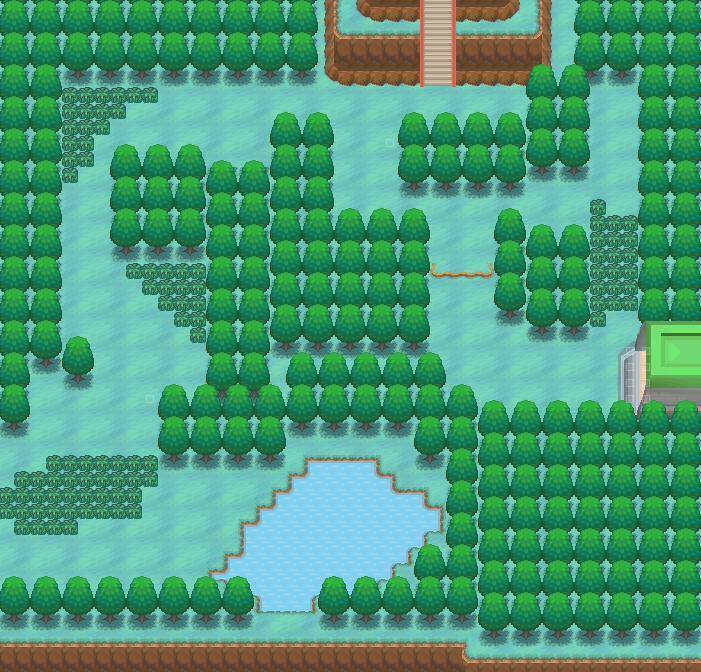 Gen IV and Gen V's maps are made in 3D, as opposed to the tiles of Gen III. It would be hard to edit/create a new map. Overall, it would probably be more work than it's worth. RMXP + Essentials is just far easier to use, and you can do more with it. 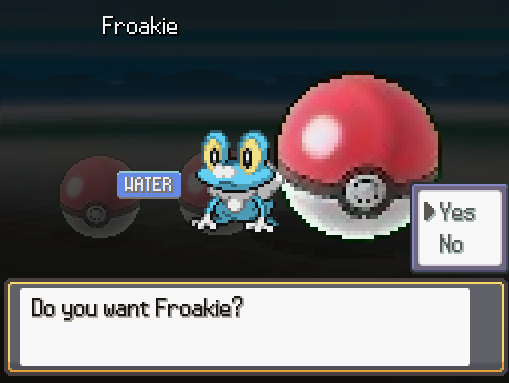 If you choose Froakie it has a chance of getting the ability Protean which is his hidden ability and if you get Froakie (like a Starter and not in events)(or any other Water type Starter) in the original games it can have only the ability Torrent. So is this game pretty close to being fully completed? when is the demo its past march 16?